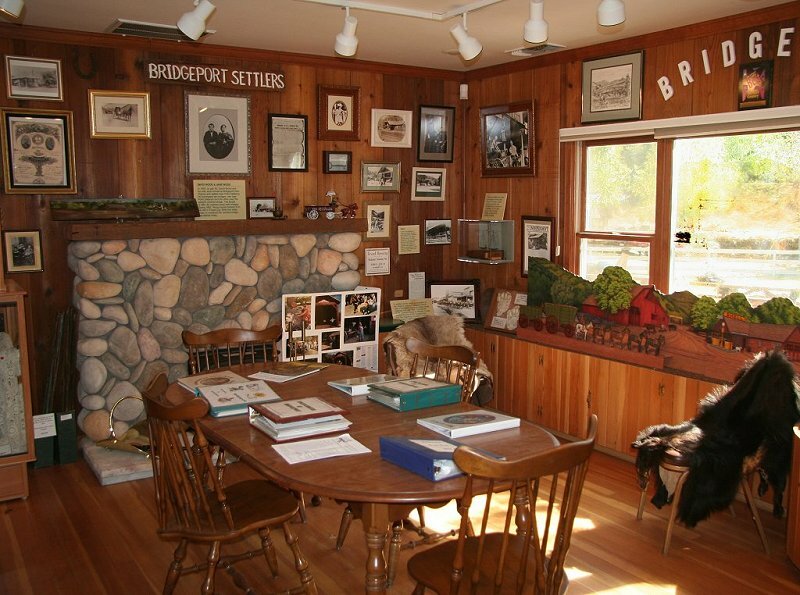 The visitor center is always a work in progress, with volunteers adding new displays and upgrading existing ones. 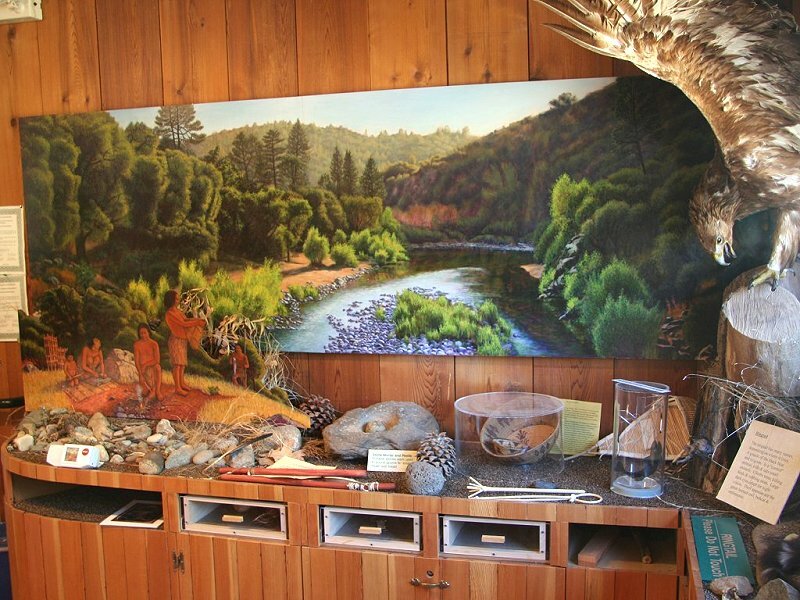 Volunteers also serve at a sales counter where many nature publications and maps can be purchased and free brochures obtained. 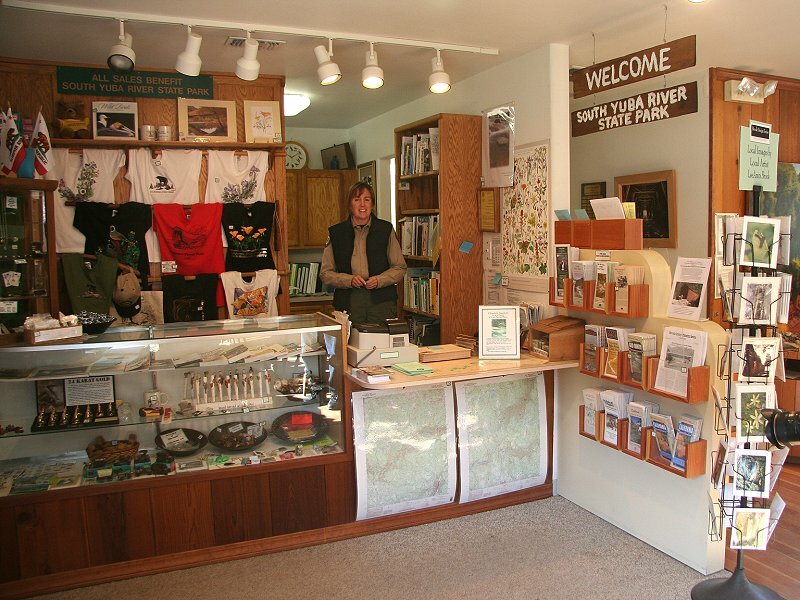 All profits from sales are used by the SYR Park Association to enhance the park and encourage visitors to return. 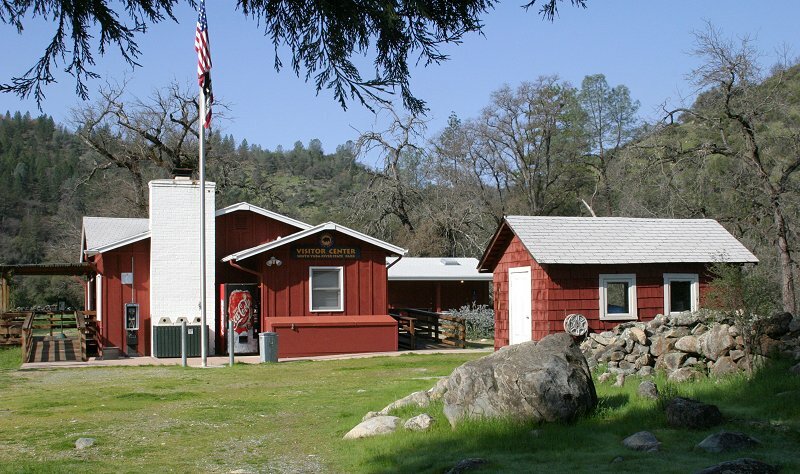 The South Yuba River State Park ranger station is in the same building as the visitor center, and fully-plumbed rest rooms are out back. 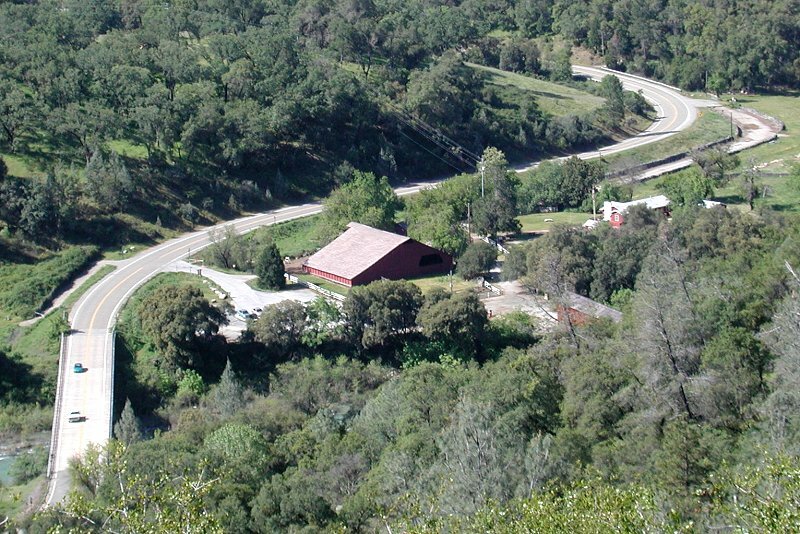 The Barn and Park Headquarters viewed from high up on a side road on the other side of the river. The modern Pleasant Valley Road bridge is on the left and Wood's bridge peeks out on the right. 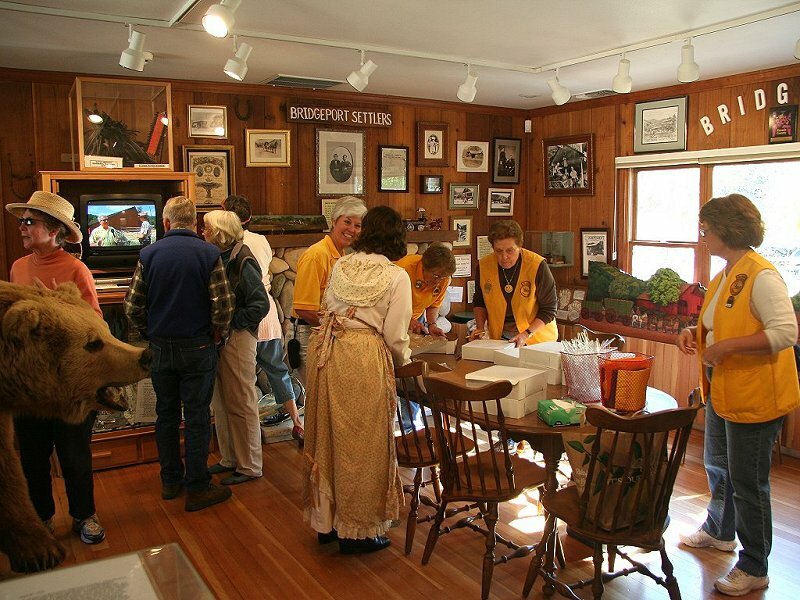 A cheerful greeting and a wide variety of items are available at the sales counter. 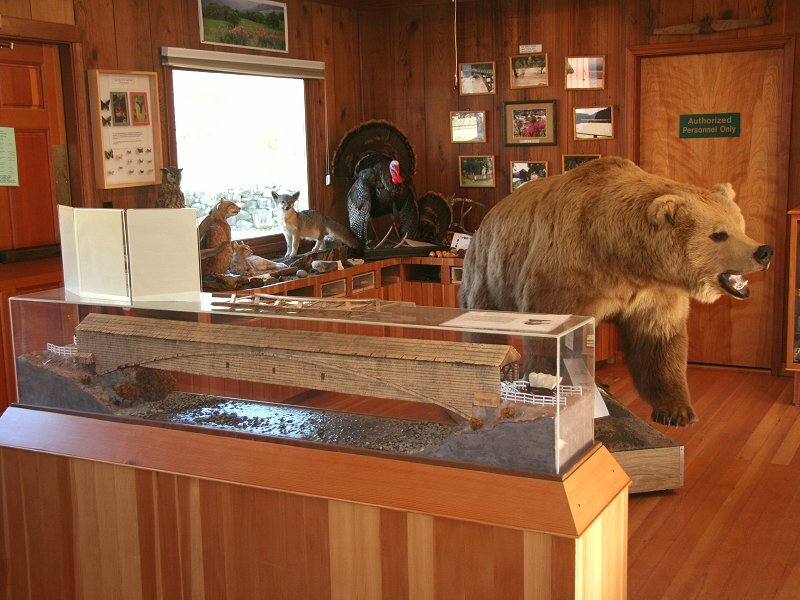 Scale model of Wood's bridge, and our recently-added bear.